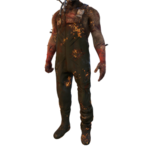 Evan MacMillan or "The Trapper" is one of 15 Killers currently featured in Dead by Daylight . 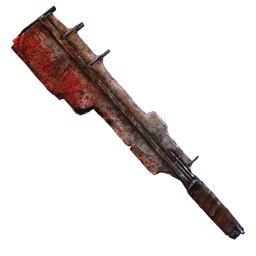 The Trapper is an area-control Killer, able to apply pressure across the Map by placing deadly Bear Traps for Survivors to step into. 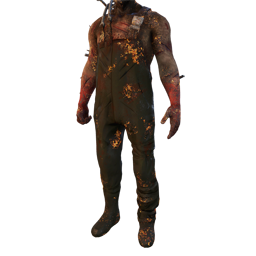 His personal Perks, Unnerving Presence , Brutal Strength & Agitation , allow him to chase and carry Survivors more effectively. 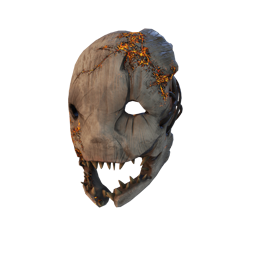 He is focused on physical attributes and making use of his strength and the Survivors' fear. Evan MacMillan idolised his father. It wasn't just that he was heir to a great fortune, it was the way he ran the estate. Raised under his firm hand, Evan had taken to running the workforce with an iron hand. Production was always high and the MacMillan Estate prospered under father and son. As Archie MacMillan's mental health slowly disintegrated, Evan protected him from the herd who wanted a piece of the fortune. No matter what his father asked of him, Evan would do. When Archie MacMillan finally snapped, Evan became his enforcer in what would become known as the worst mass murder in modern history. They never proved that Evan lead over a hundred men into those dark tunnels before detonating the explosives and sealing them to their fate.The tale of the MacMillan Estate is a tale of wealth and power gone very wrong. How many victims fell to the hands of father and son is unknown. No record is ever made of what became of Evan MacMillan. His father is another unsolved puzzle, found trapped in the locked basement of his own warehouse - starved and abandoned. 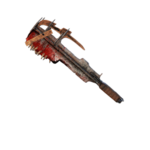 The Cleaver is the primary weapon of the Trapper. A brutal cleaver, hammered by his own hands from the metals of the mine. 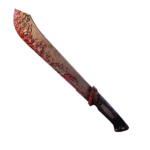 If he hits a Survivor, he will wipe off the blood on his arm. 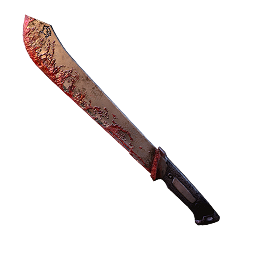 The cleaver has a relatively small hit radius. 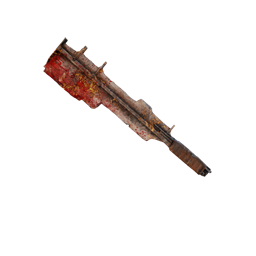 The Bear Trap is the secondary weapon of the Trapper: Bear traps are found lying around the map. They can be picked up and set down mostly anywhere. Traps are not armed until picked up and placed. The Trapper starts the game with a single trap in his hands, and can only carry one at a time unless using the Trapper Bag or Stitched Bag Add-ons. After pressing alternate attack, the Trapper bends down and sets the trap, looking directly downwards allowing nearby survivors to run around him unseen. If a survivor walks over an armed trap however, the trap will spring and catch one of their legs, where upon they will be trapped in place until either they manage to free themselves, a fellow survivor comes to free them, or the Trapper returns to hoist them onto his shoulder. 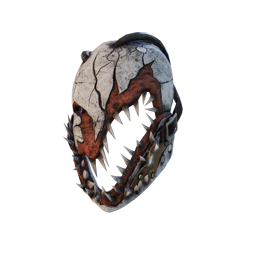 A trapped survivor will make a lot of noise, alerting the Trapper, and be visible to the Trapper through walls. 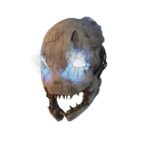 The traps also possess an aura that can be seen by the trapper at all times, and from all ranges. This is useful for identifying which traps have not yet been set as well as traps that have been disarmed. 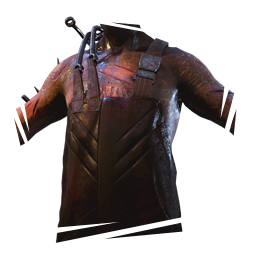 Should the Trapper walk within the hitbox of one of his traps, he will reach down to free himself, but the trap will remain in the set position and no effect is imbued upon the Killer. It is very common for experienced Trappers to put Bear Traps in hard-to-identify locations such as tall grass, around a corner, or on one side of a window in order for survivors to trigger them without being previously alerted to their position. 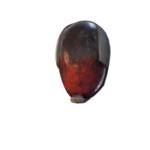 Immobilises and injures trapped Survivors. 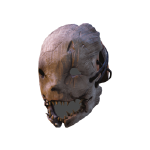 Starts match with 1 Bear Trap. 5 Bear Traps are available randomly placed throughout the Map. Sabotaged Bear Traps respawn after 3 minutes. 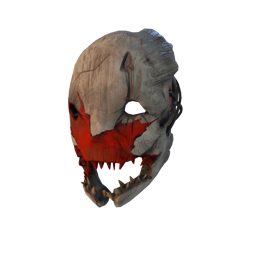 It takes The Trapper 2.5 seconds to set a Trap and Survivors 3.5 seconds to disarm a Trap per default. The Bear Trap's "setting time" is divided into 3 phases: putting the Trap down (0.5s), setting the Trap (1.5s), and standing back up (0.5s). Only the middle phase is affected by Add-ons. 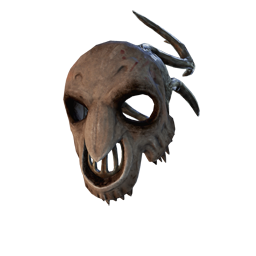 A Survivor's chance of freeing themselves from a Trap is 25 % while each attempt takes 1.5 seconds. This chance can be increased with the use of Perks and Offerings that affect the Luck Mechanic. Common A crude leather sack suitable for foraging. Start with 1 extra Bear Trap. Allows the transportation of 1 extra Bear Trap. Common Protective padded leather gloves. Slightly increases the Bear Trap setting speed. Common A large and heavy coil spring which adds a good amount of strength to the Bear Trap's hold. Slightly increases the Bear Trap sabotage time. Slightly increases the Bear Trap disarm time. Common These padded jaws are meant to restrain, not to wound. Bear Traps do not inflict damage to trapped victims. 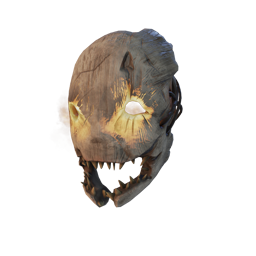 Points awarded for trapping Survivors are increased by 100 %. Uncommon A cured leather waist bag. Large and sturdy to transport hunting equipment. Allows the transportation of 2 extra Bear Traps. Uncommon Simple tools designed to quickly and safely set Bear Traps. Moderately increases the Bear Trap setting speed. Uncommon These replacement Bear Trap jaws have saw-like blades which cause awful open wounds when they snap. 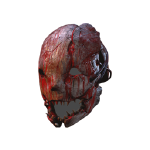 Survivors injured by a Bear Trap suffer from the Haemorrhage Status Effect until healed. "Like a predatory beast, it can smell and track blood." Uncommon Wood ash. When boiled, can be used to dye Bear Traps and make them less noticeable. Moderately darkens the Bear Trap. Uncommon A replacement kit for Bear Traps which changes the usual dual spring system to 4 coil springs, adding a great amount of strength to a Bear Trap's hold. Moderately increases the Bear Trap sabotage time. Moderately increases the Bear Trap disarm time. Rare A block of wax used to lower friction and facilitate movement in mechanical parts. Moderately reduces the chance to escape a Bear Trap. Rare A black, matte and sticky substance similar to tar. When applied to Bear Traps, makes them far less noticeable. Considerably darkens the Bear Trap. Rare Specialised tools designed to quickly and effortlessly set Bear Traps. Considerably increases the Bear Trap setting speed. Moderately increases the rescue and escape times from Bear Traps. Rare A secondary coil which keeps a Bear Trap functional in times when the primary coil becomes unusable. Considerably increases the Bear Trap sabotage time. Considerably increases the Bear Trap disarm time. 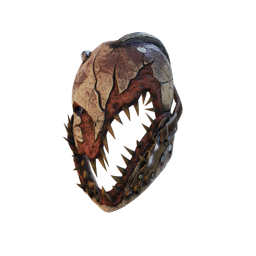 Rare These Bear Trap jaws are covered with crusty and volatile rust spots that make injuries particularly difficult to heal. Survivors injured by a Bear Trap suffer moderately from the Mangled Status Effect. Very Rare Skin pieces of all sorts crudely stitched together making for a very large bag. Start with 2 extra Bear Traps. Very Rare A clear oil that makes handling the Trap's spring more hazardous. Tremendously increases the Bear Trap sabotage time. Tremendously increases the Bear Trap disarm time. Very Rare When used with the Bear Trap, the Honing Stone sharpens its blades. 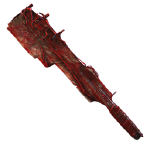 The razor-sharp blades inflict deep wounds aimed at bleeding the victim as fast as possible. Inflicts the Dying State upon the trapped victim if they free themselves. Very Rare A specialised set of tools used to fasten Bear Traps to ensure their effectiveness. Tremendously increases the Bear Trap setting speed. Considerably increases the rescue and escape time from Bear Traps. 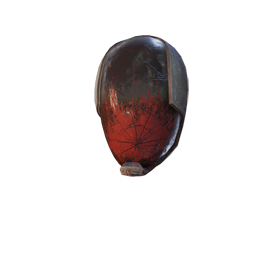 Ultra Rare Traps sharpened with this sickly gleaming stone seem to gain a life of their own. Every 30 seconds, one closed Bear Trap chosen at random becomes set. Ultra Rare Part sticky, part slippery, this grim liquid makes handling the Trap's spring more dangerous. 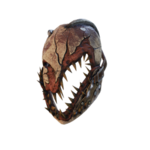 When a Trap is sabotaged or disarmed by a Healthy Survivor, the bloody coils exact their price and that Survivor becomes Injured. 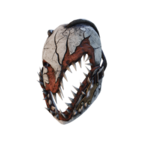 There are currently 2 Achievements related to The Trapper. The value of Console Achievement that differs from the Steam (PC) version of Dead by Daylight is written in Purple. 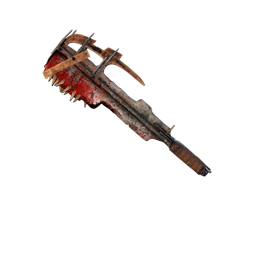 Achieve a Merciless Victory with The Trapper using only his Unique Perks: Unnerving Presence , Brutal Strength & Agitation . 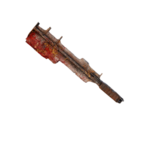 With The Trapper , grab a total of 100 / 10 trapped Survivors directly out of the Bear Trap . Players can customise their Character by choosing one outfit style from each category. 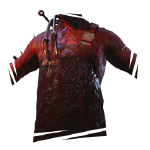 Blood-stained attire is obtained after The Trapper reaches Level 50 and prestiges. Due to only starting out with one Bear Trap and having to gather and set all other Traps individually, The Trapper loses a lot of valuable time at the start of the Trial. It is thus advised to carefully think about the Trap placement. Avoid stepping into your own Bear Traps while carrying a Survivor, as you will drop them otherwise. Traps are near invisible in grass and difficult to see on reddish surfaces. 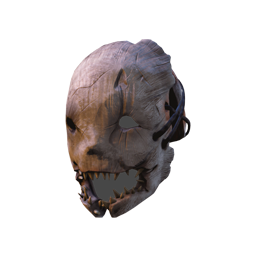 A very commonly used strategy is to hook a Survivor in the Basement and trap all entrances to it. 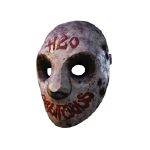 This works especially well in the Killer Shack. Placing Traps in the middle of a Pallet comes at a risk. 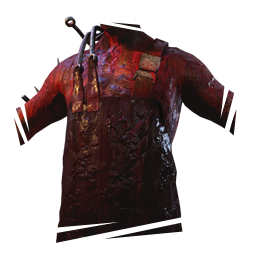 When hoisting the trapped Survivor onto your shoulder a nearby Survivor could stun you with the Pallet and cause you to drop the caught Survivor. The Trapper was the only playable Killer during the BETA. 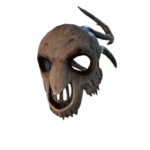 The Trapper's Alpha name was "Chuckles". In the Game Files, it is misspelt as "Checkles". 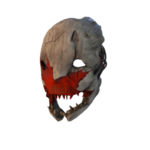 The Trapper is affiliated with the MacMillan Estate Realm in the Lore. 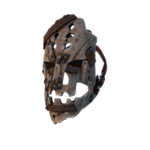 The Trapper might be based on Jason Voorhees, as both Characters are large and muscular men, wear a mask, wield a simple yet crude bladed weapon, and are fiercely loyal towards one of their parents (Jason towards his mother, Evan towards his father). 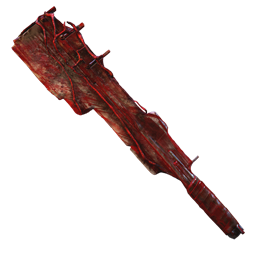 Also, Jason has been known to use Bear Traps from time to time, while the Trapper uses them as a staple of his attack style. 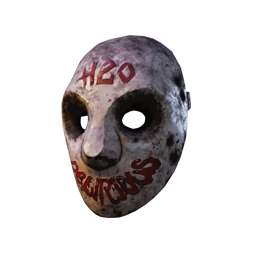 The Trapper's mask might be inspired by the mask of the Babyface Killer from the 2009 movie The Hills Run Red, as both are cracked and resemble a human face. 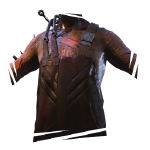 When a Survivor gets caught in a Bear Trap and escapes, the Trap will open up to let them out and then snap shut. If The Trapper is caught in his own Trap while walking over it, he will reset it instead. 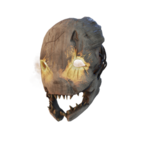 Some renderings of The Trapper without his mask on can be found inside the Game Files, revealing that he's bald. 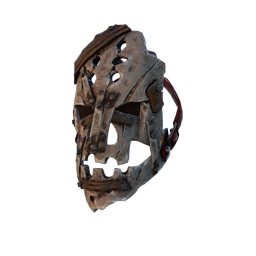 The Trapper was the first Killer to wear a face mask.